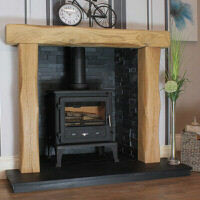 Rustic Oak Beam Fireplaces - These fireplaces are made from 3-5 year air dried oak, big chunky beams with a rustic look! Beautiful character and occasional knots make these perfect for rustic interiors. Designer Electric Suites - Designer Fireplaces are proud introduce our exclusive, brand new range of designer electric fireplace suites designed to fit seamlessly against a flat wall. Designer Gas Suites - Our brand new, completely exclusive and extensive range of oak fire surrounds combined with beautiful European marbles and the highest quality designer gas fires. Oak Fireplace Packages - We have combined a number of surrounds with different Electric, Gas and Cast Iron Fires creating an extensive and fantastic range of oak fireplace packages. Stove Packages - Presenting our new range of oak stove packages. 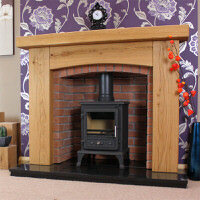 Featuring our Oak Beams with Chambers, Stove Hearths, and Stoves and completed with a free Fitting and Accessories Kit! Oak Beams and Mantel Shelves - Our natural oak beam shelves and wooden oak fireplace beams have been manufactured from prime grade kiln dried oak to give a clean and natural appearance. Perfect for a contemporary interior! Rustic Oak Beams + Shelves - Our rustic oak beams and shelves have been through a specific air drying process that allows for character that will highlight the natural qualities and beauty that your new oak fireplace mantel has to offer. Hearths + Back Panels - Our Hearth and back panel sets are manufactured in our own UK workshop and crafted using the highest quality marbles and granite, cut to suit a standard fire. Hearths for Stoves - Our range of stove hearths are tailored to accompany your new stove perfectly, there are a number of fashionable colours and styles available for you to choose from. 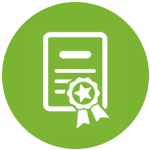 Responsible & Sustainable Sourcing of Timber. Questions to ask when buying a new fireplace. Complete your fireplace with accessories. 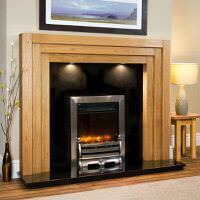 Making your Oak Fire Surround look like new using Using Oil and Stain. Your hearth and your home. 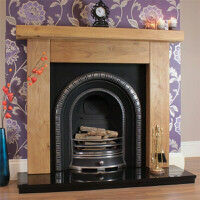 Matching your oak fire surround to your existing oak furniture. Ranked as the Number 1 Fireplace Company in the UK. 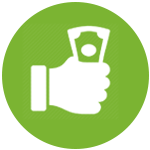 We pride ourselves on our unrivaled customer service and product quality. 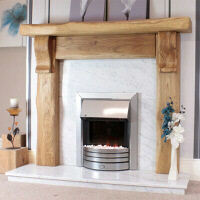 Our aim is to provide stunning handmade oak products at fair prices. We’re proud to say all of our Oak Products are handmade by our own craftsmen in the UK. Your message has been sent, our staff will get back to you as soon as possible. Monday to Saturday: 10 a.m. to 4:30 p.m. 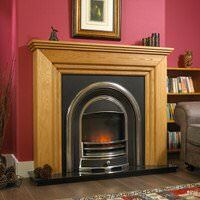 Designer Fireplaces - Oak Fire Surrounds is rated 9.8 out of 10 based on 1134 reviews. 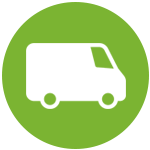 You can view all our reviews on TrustPilot website.